Harvard Law School – The Petrie-Flom Center for Health Law Policy, Biotechnology, and Bioethics on February 20, 2019, hosted Inequity in Mental Health Care Access, a panel discussion examining the many local and national hurdles to mental health care access and equity. How do the barriers to mental health care impact people of different backgrounds and socioeconomic status? What can local, state, or national governments do to reduce the disparities in mental health care outcomes? How can lawyers help reduce these mental health care inequities? These were just some of the issues addressed at the event which was free and open to the public. Speakers included: Ana Progovac, PhD,Instructor of Psychiatry, Harvard Medical School and Senior Scientist, Health Equity Research Lab; Natalie Litton, Policy and Project Coordinator, Health Care For All; and Steven J. Schwartz, Litigation Director, Center for Public Litigation. 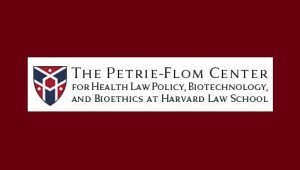 The event was sponsored by the Harvard Health Law Society and the Petrie-Flom Center for Health Law Policy, Biotechnology, and Bioethicsat Harvard Law School. Additional details available here.